The Best-Value Boat Tour in the City! 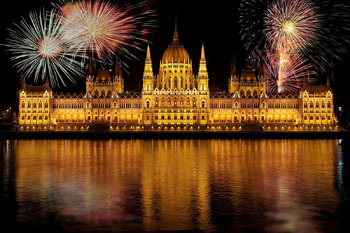 If you want to see the most romantic face of Budapest take a cruise on the Danube. The ships are spacious, with large, clean panorama windows allowing you to see the many sights along the banks of the river. All tours you can book through our site are on air-conditioned/heated ships, and operate all year round. The staff on board the ship are friendly and assist you with everything. craft beer tasting, or cocktails/beer only. 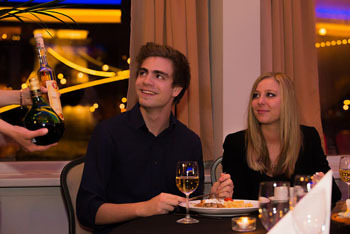 TIP: We higly recommend taking the 7pm evening tour with a 4-course buffet dinner, live gypsy music. In summer, at this time you can admire the beautiful city scape draped in warm colours by the setting sun. You can also take a tour during the day (a lunch cruise starting at 14.00, or with cocktail/beer at 16.00 between 30. Mar – 30. Dec). Price: full price: 54 EUR, students 50 EUR (incl. are a 2-hour river tour, welcome drink, dinner with a glass of wine/juice + a small bottle of mineral water + live music by a Gypsy orchestra). Can be booked with Pick-Up/Drop-Off Service! 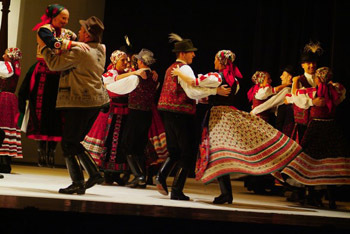 Make your stay in the Hungarian capital unforgettable by going on a one and half hour excursion on the river with a pleasant four-course buffet dinner and live music. Besides the fine meal, a welcome drink, a bottle of mineral water, a glass of wine/beer or soft drink, are also included in the price. See the beautifully refurbished Parliament in Pest, the elegant neo-renaissance buildings of the Castle Bazaar (also renewed in 2014) and the other prominent sights under the protection of the UNESCO’s World Heritage program. 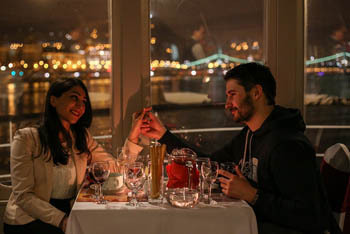 Following dinner you can enjoy the romantic night vista of Budapest from the upper deck of the boat. TIP: You can go on a Wine & Cruise Starting at 14.00, 16.00, or 19.00 (2 hours) or at 22.00 (1,5 hrs) if you don’t want to have dinner. Price of Wine Tasting & Cruise: 33 EUR, students: 31 EUR. You’ll be served 7 top-quality Hungarian wines, 8 cl of each. 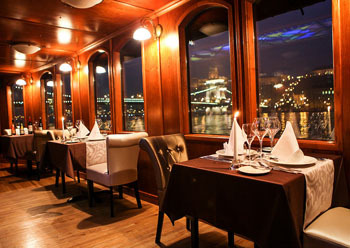 we offer exclusive river tours with fine dinner on a festively decorated panorama ship. Availability is limited for these programs. On specific dates, see on the booking page through the link below! The city is just magnificent after sunset when the lights turn on in the streets, on buildings and the bridges. 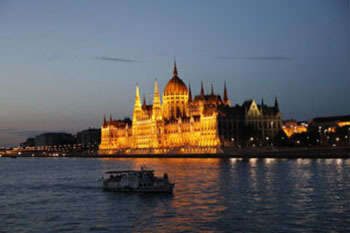 You’ll see Budapest in a whole new light on our 1.5-hour river excursion starting at 22.00. 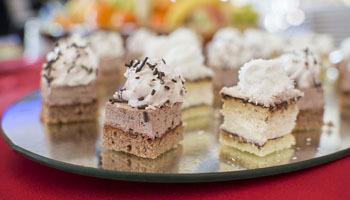 A multiple-course dinner served buffet style makes the program even more pleasant. TIP: Can be booked without dinner: with wine tasting, craft beer tasting or cocktails/beer. Tickets: full price: 46 EUR, students: 42 EUR. Available with hotel pick-up drop-off for + 14 EUR! Book Night Cruise & Dinner! See the city at its most beautiful when the rays of the setting sun paints it in the hues of orange, pink and blue. A great time to make some memorable photos while cruising on a boat and sipping cocktails to the tunes of an orchestra! 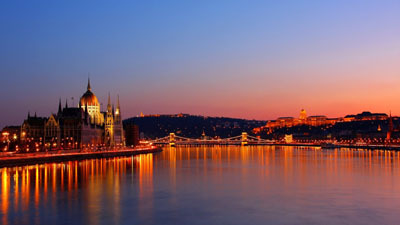 See tickets and details on the Sunset Cruise in Budapest! Price: 29 EUR/prs, student: 27,50 EUR/prs., Pick Up/Drop Off for +14 EUR! 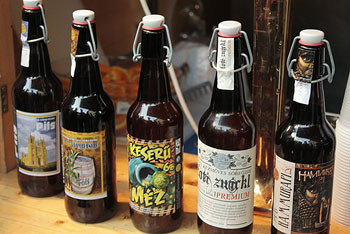 Discover the exciting world of Hungarian artisan beers! Sample 5 high-quality craft brews by the country’s best micro breweries on a 2-hour river excursion. Each sample is 150 ml and at the end you’ll get an extra pint of your choice of the tasted beers. Live Gypsy music, snacks, and you can soak in one of the world’s most captivating cityscapes from a deck of a sightseeing ship. 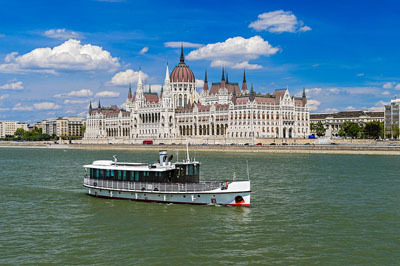 Book our Craft Beer Cruise in Budapest program! How about combining two sightseeing programs? 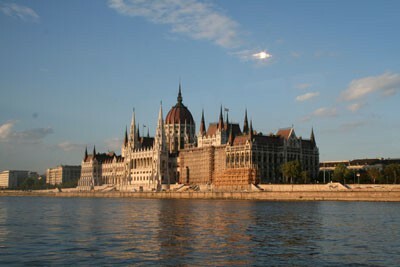 Visit the Parliament standing on the Pest bank of the river on a 1-hour guided tour then join one of the boat tours! Reserve another program together with the night cruise starting at 22.00 and get two programs for less than you would pay if you bought the tickets individually. This way you not only have a great program for a full evening, but you pay less if you book a Concert/Folk performance + Dinner & Boat Tour as a package. 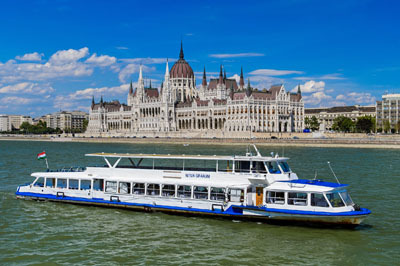 Although Budapest is striking at night with the bridges and buildings all lit up, you can also have a memorable sightseeing boat tour at daytime. TIP: The Lunch Tour departing at 14.00 is a great program for kids too (ours love it) – they’ll surely enjoy a boat trip on the river complete with food and drinks. The journey is not too long – 1,5 hours – so even toddlers or babies will have a good time not to mention their parents! 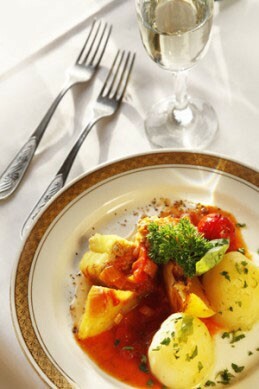 There are 3 sightseeing boat tours with a 4-course buffet meal every day (starting at 14.00, 19.00 and 22.00). A glass of wine (or juice) + 1 bottle of water (0,33) are also included in the price. the 14.00 Lunch Cruise and the 22.00 Night Cruise with Dinner and Music are 1,5 hours long. 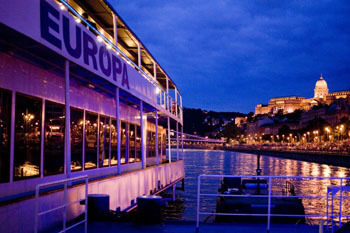 A perfect way to celebrate some wonderful holidays in Budapest is by going on a unique river tour e.g. 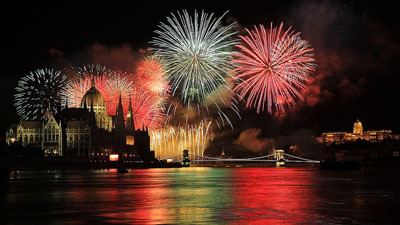 on Christmas or New Year’s Eve and Day, and on August 20/St. Stephen’s Day (when you can also see the fireworks from the best possible spot). 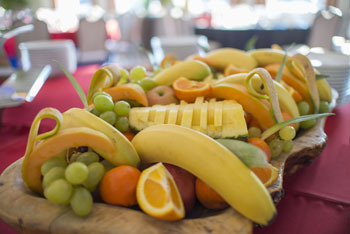 New Year’s Eve Party Dinner & Cruise, 2019-2020. Snow White Heritage Boat Tours – For Families! Take the kids on a historic boat named Snow White that travels between Margit Bridge and Petőfi Bridge on Saturdays during the high season. The unique boat was built 122 years ago and it’s one of the oldest engine-operated ships carrying passengers on the Danube. the Chain Bridge and other bridges. The tour is 45-minute long. from Petőfi tér: Saturday: 14.45, 16.15, 17.45. A wonderful program for both sunny and rainy days! Length of the boat excursions: each program lasts for approx. 1.5 hours. Meeting is 30 minutes before the start of the program inside the Danube Palace/Duna Palota (address: Zrínyi utca 5. Bp. 1051, district V.) located in the city centre in the close to the river Danube and the Basilica. Note: After payment you’ll receive a confirmation in e-mail with all the details including meeting point. 15 minutes before the start of the program: Hosts/hostesses accompany the guests to the ships docked at the Pest side of the river (just a couple of minutes walk). After boarding the ship you are welcomed with a glass of drink and shown to your table. 10 minutes after the program starts the ship departs, taking you on a scenic tour between Margaret Bridge and Rákóczi Bridge, and the open buffet dinner/lunch is served (see the menu below). During the tour: a second round of drinks are served, and you can have further drinks in the ship’s bar. 1,5 hours – or in case of the 7 pm evening tour – 2 hours after the program start: the ship returns to the pier. The hosts/hostesses will call you a taxi if you would like one. We took the evening boat trip with live music and dinner on a pleasant summer day. 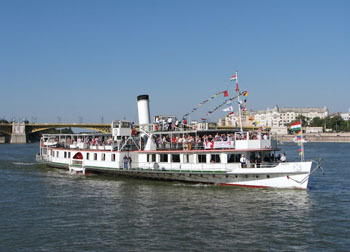 The sightseeing ship departed from the Kossuth Ship at the foot of the Chain Bridge in Pest. While the ship was gliding through the greyish foams of the river – contrary to the title of the Strauss waltz, The Blue Danube, it rarely is that colour- we had a tasty dinner with a glass of wine and enjoyed the breathtaking view basking in the golden light of the setting sun. 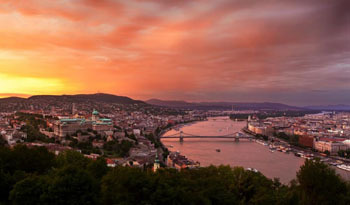 We’ve always known – and many tourists, travel websites, blogs, magazines agree – that Budapest is one of the most beautiful cities in the world but we tend to forget it living and working here day by day. and the buzzing Pest on the left. 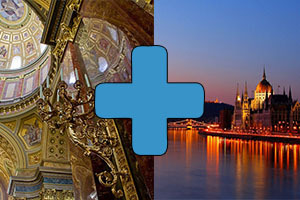 Both river banks offer many sights: right at the start of the cruise the graceful tower of the Matthias Church and the Fishermen’s Bastion draw your eyes to the historic Castle District. Further up the building of Budapest Parliament dominates the Pest shore. Joggers do their regular rounds on the picturesque Margaret Island (Margitsziget), named after a medieval Hungarian princess. 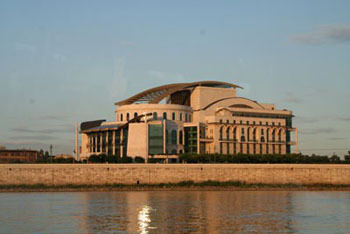 At the north end of Margaret Island the ship turned and went down the river as far as the National Theatre at the Pest end of the Rákóczi Bridge. The fine building of the Gresham Palace – today an exclusive luxury hotel of the Four Seasons chain – stands at the Pest end of the Chain Bridge. 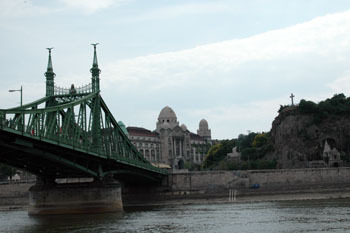 The dolomite rock of the Gellért Hill towers above the water between Elizabeth Bridge (Erzsébet híd) and Liberty Bridge (Szabadság híd). The Gellért Spa and the refurbished Rudas Bath originally built by the Turks in the 16. century can also be seen at the foot of the hill. I'm going on a boat. Yippee!